Michael Hogue. 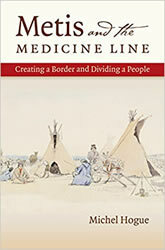 Metis and the Medicine Line: Creating a Boarder and Dividing a People. The University of North Carolina Press, 2015.